A few of you were unable to access the eCard for my students included in the email I sent yesterday, so I will just put all the email info into this SMORE. I hope this helps you sort through all the GT and EXCEL news! Don’t forget about the Texas Association for Gifted and Talented summer scholarships. 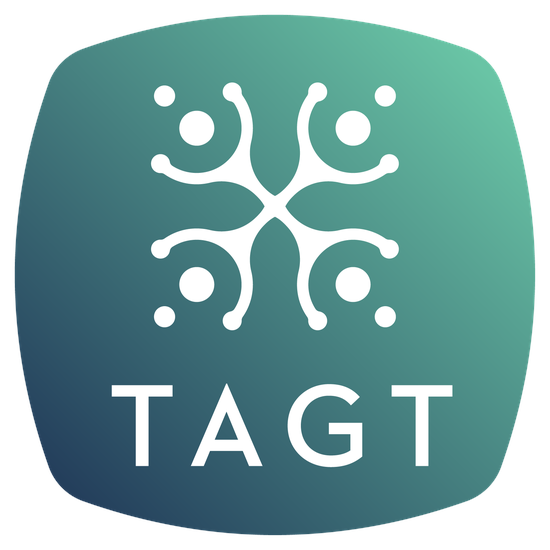 http://txgifted.org/tagt-summer-scholarship-fund/ I’m happy to write recommendations for any of my exceptional kiddos! This year it is at Florence Elementary, July 13th through July 16th. 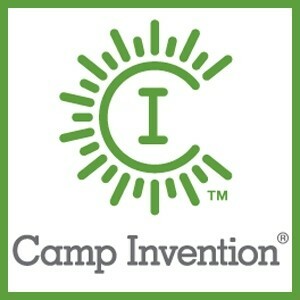 Here is the link if you would like to learn more about what Camp Invention is all about. 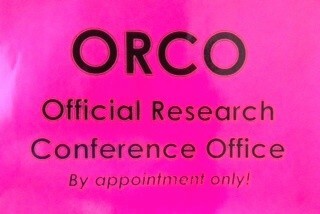 The office of ORCO – Official Research Conference Office – is open for business. It’s official – with a sign! I consult with each student individually about his or her independent research project. Students bring official ORCO Meeting Notes pages to the conference, where I write suggestions about research, sources, topic expansion or narrowing, etc. I also keep a record of the meetings on my laptop, just in case. It’s been amusing watching my third graders who are used to having questions answered immediately to be told I’m in conference. “But Mrs. Barron, I just want you to read what I wrote.” “But Mrs. Barron, it will only take a minute.” “But Mrs. Barron, this is so cool.” J I ask them to write down their questions and wait until I’m out of conference, so I can devote a quality few minutes with each student. They’re getting the hang of it now, but what a shock at first. Good preparation for higher grades, when they must practice waiting their turn in every class, but oh so hard! 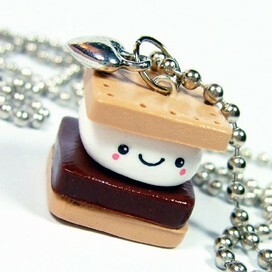 This is National Random Acts of Kindness week, which ties in with building Intellectual Traits. Since the acronym RAK didn’t appeal to me, I changed it to HARK – Heartfelt Acts of Random Kindness. 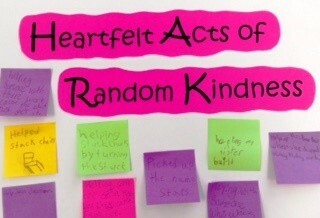 We discussed the word “random” when associated with kind acts. (No, cleaning your room doesn’t count as a random act of kindness if it is already an expectation or chore.) I created a poster for each campus, and provided post-it notes for students to write their individual random acts of kindness. No names on the notes. 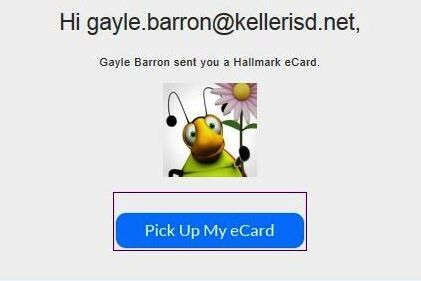 I will be taking a picture of each campus poster, and sending them to the Random Acts of Kindness website to show how Keller ISD gifted students are demonstrating kindness this week. I told the students they can add more sticky notes next week, as long as the acts of kindness were done this week. I suggest you discuss this with your child, and help him/her remember each act of kindness for their next GT class. Several of my classes viewed a video from the Random Acts of Kindness week, which you can see at https://randomactsofkindness.org/kindness-videos. I generally give the students an opportunity to solve Stories with Holes during the last few minutes of each class. This week, I have challenged them with Hink Pink’s – answers that rhyme, with a Valentine’s them. Each riddle answer must be single syllable, rhyming words. 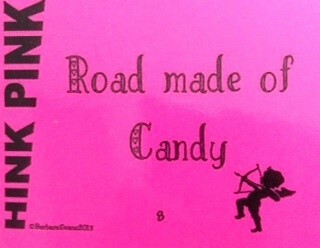 For example, “Road made of candy” would be “Sweet Street”. 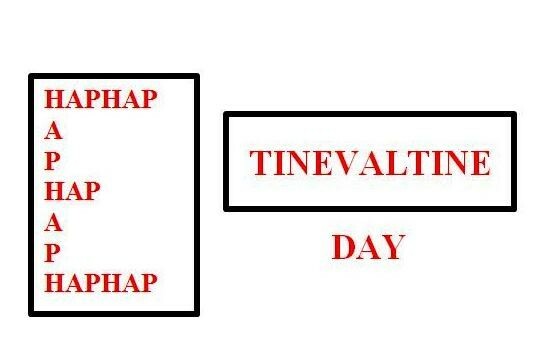 If they solve all the Hink Pink’s, we move on to Hinky Pinky, two syllable rhyming words, and even Hinkity Pinkity riddles, with solutions of three syllables. Ask your child how he or she enjoyed this end of class activity.